Avengers costume includes a jumpsuit and mask. Does not include shield or socks. This is an officially licensed Marvel Costume. This famous comic model costume gives you a real feel of being a superhero. A flight of a superhero, taking your fantasy and imagination to different level. Imagine girl being a US Army officer, well this intensified fantasy of imagination could be fulfilled in real world too. This Pin Up Army Girl costume indeed what is needed by you. Army Girl Adult Costume includes an underwire garter dress with an attached bow on the back, epaulette shrug, detachable clear straps, tie and a matching hat. Does not include stockings, gloves or shoes. Working as a special agent in bigger organizations like FBI, INTERPOL is a dream of every cop aspirant. Well a thought to it could lead to a different idea and if you sow an idea u get an action. This special ops costume is all you need. Special Ops costume includes Vest, Pants, Beret, Belt, and Dog tags. Does not include shirt, belt or shoes. Many war heroes were invited, And this passion is also inherited by their kids. For these future officers also we have a variety. 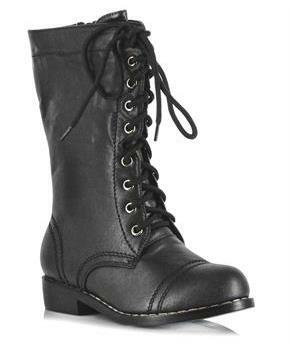 Combat includes one pair of black lace up Combat Boots. Gives adventure vacations a new height of excitement. If you want your child to have such different adventurous experience it's the best product. Move further and have it. If u want to make school going trips much more good these durable water bottles are the one that you all need to carry. They will not only provide an extra edge but through its efficiency they will long last too. Bottle measures approximately 4" wide x 4" high x 1" deep and is made of dark green plastic. You must have cheered up in Euro Cup. Having face-paints, but having camouflage as face-paint geared up in military costumes is a dream of every kid. Camouflage includes makeup pan, (1) black makeup crayon, (1) sponge applicator and (1) stick applicator. They are among the best forces in the world known for their combat skills. Special forces costume includes Mask, Jumpsuit, Vest, Knee Protectors, Leg Pouch, Toy Gun, Flashlight, walkie-talkie. Does not include shoes or batteries. Plates include Camo Gear Dessert Plates (8). 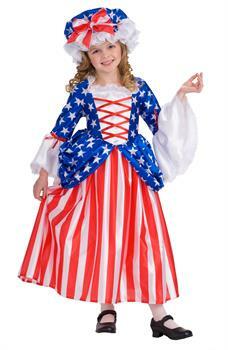 Perfect choice for every Patriotic Theme Party. They are easier in use, could last long for every food. These flags are for a real patriot. A cloth that retains its country's pride, not loses its color with time. Flying and moving in the air. A real sense of integrity and peace. Flag comes with plastic handle. 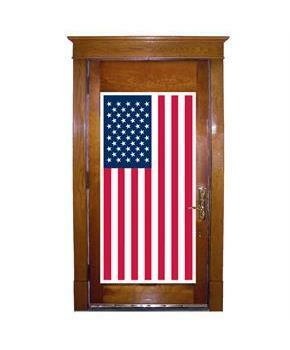 American Flag Door Cover is great for displaying your patriotic spirit! Door Cover is made of plastic and measures approximately 30" wide x 60" high. Doors with simple paints are now old fashioned . One needs to make doors more good looking and give a different look to your American dream home. 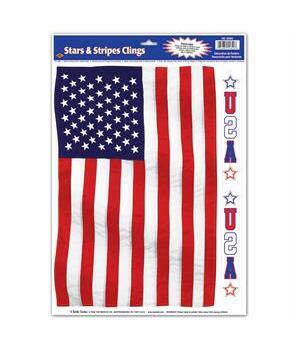 This American Flag Window Cling will stick to any flat, nonporous surface such as windows or mirrors, no adhesive needed, easy installation, removable and reusable. They will give beauty a greater essence. A new look to life and house. American Glory Lunch Napkins (18 count) have the colors that won't run: red, white and blue. Paper napkins are 2-ply. These napkins with a very good piece of material,are best for its job. Napkins for every after meal. Measuring approximately 10" wide x 14" long these plastic trays are the one for serving every kind of meals, drinks. They wil give your party a sense of patriotism and the motive for which such patriotic party was conducted. Forks and Spoons Each package includes 8 forks and 8 spoons. Durable plastic. These spoons are the one very efficient, Easy to handle. Are not so brittle. So, get ready to host a Welcome Back Home Party for our heros of US Army.